The solar system was formed from a protoplanetary disk consisting of gas and dust. Since the cumulative mass of all objects beyond Neptune is much smaller than expected and the bodies there have mostly inclined, eccentric orbits it is likely that some process restructured the outer solar system after its formation. Susanne Pfalzner from the Max Planck Institute for Radio Astronomy in Bonn, Germany and her colleagues present a study showing that a close fly-by of a neighbouring star can simultaneously lead to the observed lower mass density in the outer part of the solar system and excite the bodies there onto eccentric, inclined orbits. Their numerical simulations show that many additional bodies at high inclinations still await discovery, perhaps including a sometimes postulated planet X. 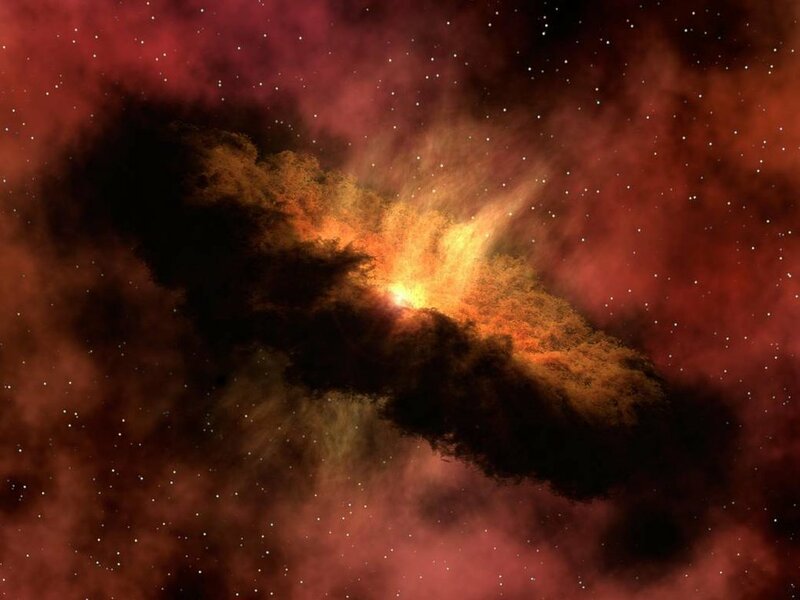 The basic scenario of the formation of the solar system has long been known: our Sun was born from a collapsing cloud of gas and dust. In the process a flat disk was formed where not only large planets grew but also smaller objects like the asteroids, dwarf planets etc. Due to the flatness of the disk one would expect that the planets orbit in a single plane unless something dramatic happened afterwards. Looking at the solar system right to the orbit of Neptune everything seems fine: most planets move on fairly circular orbits and their orbital inclinations vary only slightly. However, beyond Neptune things become very messy. The biggest puzzle is the dwarf planet Sedna, which moves on an inclined, highly eccentric orbit and is so far outside, that it could not have been scattered by the planets there.